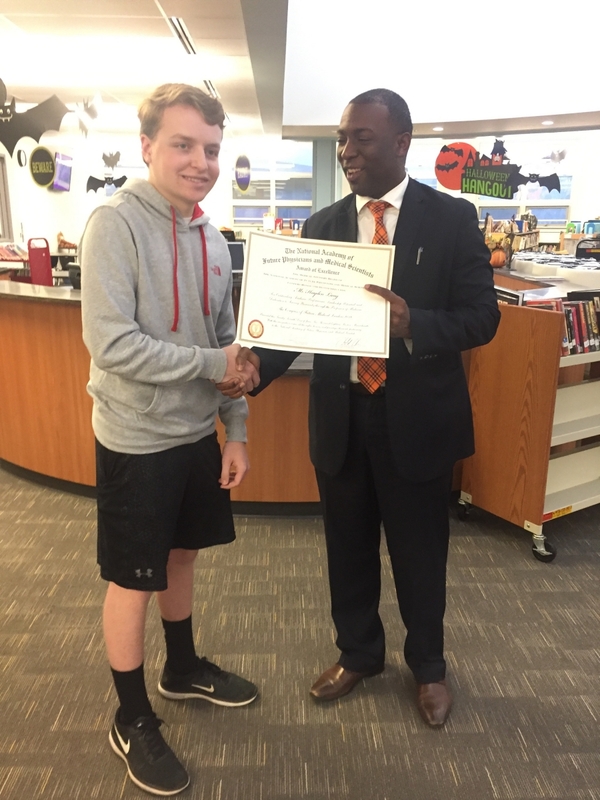 Cleves, October 2018 – Many people recognize October 31st as Halloween or the last day of October, but for Taylor High School Senior, Hayden Lang, he will remember it as the day he received his official Award for the Completion of the Congress of Future Medical Leaders. In June, Hayden spent three days representing Taylor High School and the State of Ohio at the Congress of Future Medical Leaders in Boston, Massachusetts. During his time in Boston, Hayden, joined by peers from all over the Country, had many unique experiences at the Congress. While collaborating with his colleagues, Hayden had the honor of watching a live surgery and being taught by what the National Academy’s Science Directors referred to as the greatest living minds in medicine. To learn more about the Congress of Future Medical Leaders, visit www.futuredocs.com.